After weeks of entertaining audiences and leaving viewers with anticipation about who will walk away with the coveted ‘Taqdeer ki sunehri topi’, Dance India Dance Season 6 drew to a close this weekend. Over the years, the show that has become a beacon of hope for numerous dancers across the country and has served as a stepping stone for the careers of some of India’s much sought-after dancing stars and is the perfect embodiment of Zee TV’s core philosophy Aaj Likhenge Kal. 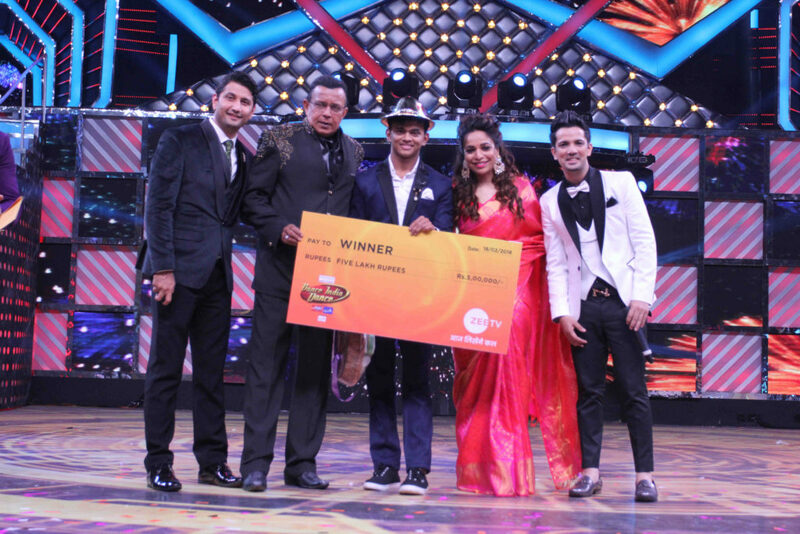 The pioneering dance reality show, this weekend, crowned Sanket Gaonkar as its winner amidst much fan-fare and celebration. Karnataka’s dance prodigy, who has grown up in a small town called Ankola, Sanket Gaonkar was presented the Dance India Dance trophy crowning him as the ultimate dance superstar along with a cash prize of Rs.5 lakhs. 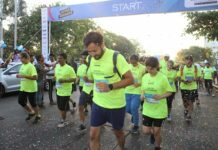 Finalists Sachin Sharma and Piyush Gurbhele were announced as the first and second runners-up respectively and were also awarded with cash prizes to celebrate their journey and achievements on the show. The Dance India Dance Grand Finale also witnessed the presence of the gorgeous and multi-talented Chitrangada Singh who is set to make her television debut as a judge on Zee TV’s next non fixtion show DID Li’l Masters. 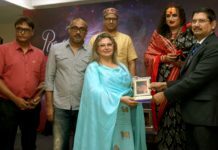 Joining her at the Finale was the upcoming show’s dynamic host Jay Bhanushali and the terrific team of Dance India Dance including Grand master Mithun Da, masters Marzi, Mudassar and Mini, and the show’s hosts Amruta Khanvilkar and Sahil Khattar, who collectively raised the evening’s entertainment quotient. The Grand Finale of Dance India Dance was a spectacular coming together of talent and magnificence. Celebrating 10 years of DID-driven dance mania in the nation, the 3-hour special episode started with a stunning opening act by the finalists of the show followed by mesmerizing performances by the masters – Marzi Pestonji, Mini Pradhan and Mudassar Khan. Living up to the theme, the Grand Fianle also brought together some of the most loved Dance India Dance alumni including Salman Yusuf Khan, Mohena, Sanam, Faisal Khan, Jeetumoni, Cornell, Mitthu and many more who set the stage on fire and proved to the nation, once again, why Dance India Dance is a premier star-maker platform on Indian television. But, at the end of the day, it was up to the Top 5 finalists – Sanket Gaonkar, Sachin Sharma, Piyush Gurbhele, Shivan Wankhede and Nainika Anasure – to show the audiences why they are India’s top dancers and wow the nation with their indomitable talent! Next articleTaapsee’s look in Dil Juunglee is inspired by Princess Diaries.